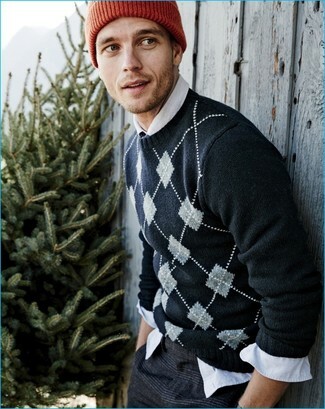 Wear a black argyle crew-neck sweater and a mt rainier design mr61339 ribbed knit beanie hat if you're scouting for an outfit idea for when you want to look casually cool. If you're a fan of practicality dressing when it comes to fashion, you'll love this stylish pairing of a dark brown wool blazer and a mt rainier design mr61339 ribbed knit beanie hat. Elevate your ensemble with brown leather derby shoes. We all seek comfort when it comes to dressing up, and this combination of a tobacco leather bomber jacket and a mt rainier design mr61339 ribbed knit beanie hat is a great illustration of that. 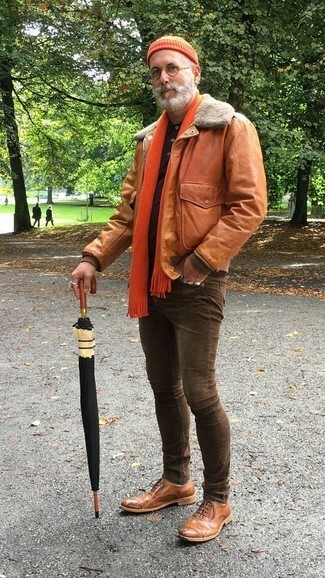 Rocking a pair of brown leather oxford shoes is an easy way to add some flair to your ensemble. 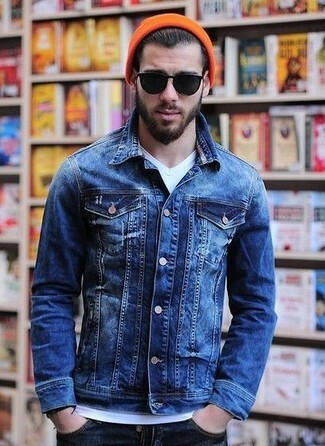 We all want comfort when it comes to dressing up, and this combination of a blue denim jacket and a mt rainier design mr61339 ribbed knit beanie hat is a great illustration of that. 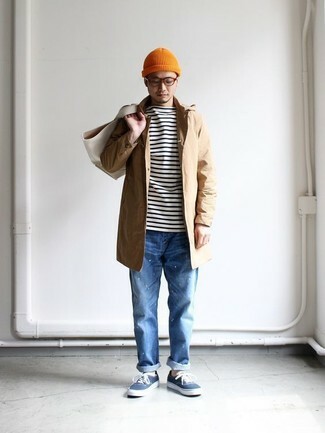 If you're all about practicality dressing when it comes to fashion, you'll love this easy combo of a tan raincoat and a mt rainier design mr61339 ribbed knit beanie hat. Sporting a pair of blue canvas low top sneakers is a simple way to add some flair to your outfit. 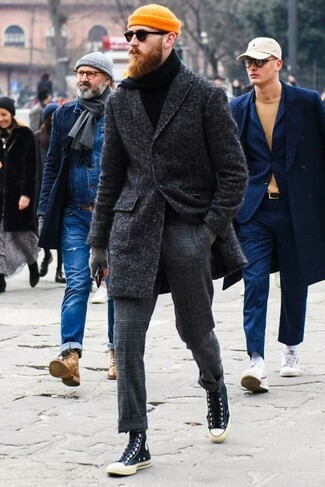 We all outfit for comfort when it comes to dressing up, and this combination of a charcoal overcoat and a mt rainier design mr61339 ribbed knit beanie hat is a good illustration of that. When it comes to footwear, this getup is round off really well with black canvas high top sneakers. 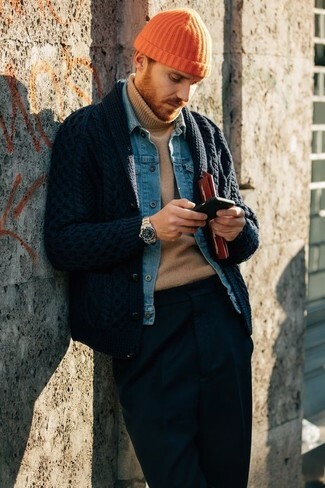 If you want to look cool and remain cosy, pair a navy shawl cardigan with a mt rainier design mr61339 ribbed knit beanie hat from MATCHESFASHION.COM. 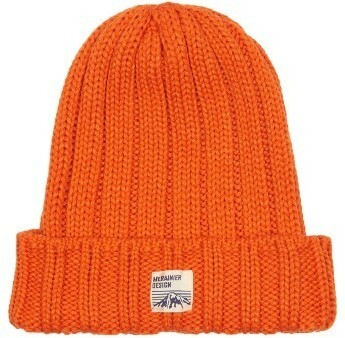 If you're a fan of relaxed dressing when it comes to fashion, you'll love this easy pairing of a navy bomber jacket and an orange beanie. When it comes to footwear, this look is complemented nicely with grey suede athletic shoes. 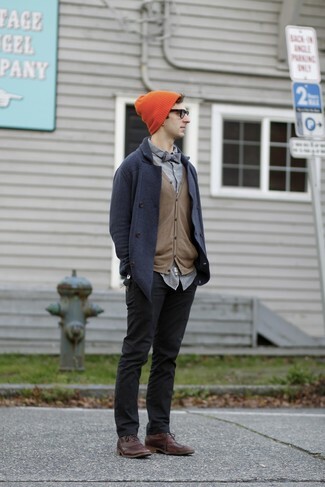 Pair a navy pea coat with an orange beanie to be both cool and relaxed. Bump up the cool of your outfit by finishing off with dark brown leather brogues.